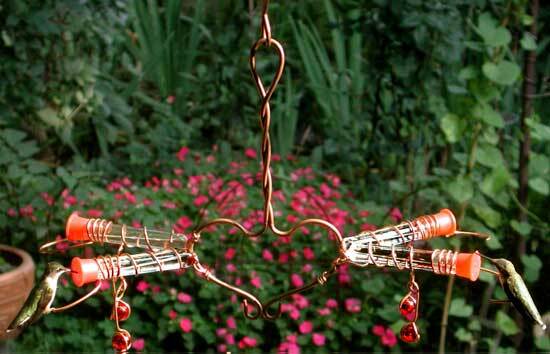 Victorian Love Birds Hummingbird Feeder - SEHHVCT4. Contains 2 paired tubes with perches. Features 4 feeding stations with red glass beads. Lets 2 hummingbirds feed side by side. Dimensions: 11 inches X 15 inches X 8 1/2 inches.